← What Has Become of Us? Chanukah begins this evening, and the festival carries a vital message for today. For all my years as a rabbi I have tried to teach in every venue at my disposal—pulpit, classroom, office, anywhere I can—that the Festival of Chanukah is not really about a cruse of oil that lasted for eight days. Oh, it is a wonderful legend, but it is about as central to the real meaning of Chanukah as Santa Claus is the reason Christians celebrate Christmas. Long ago in Judaea (about 175 BCE), Jews enjoyed a period of peace and prosperity. The Assyrian Greeks and their King Antiochus IV ruled over Judea. As children we learned Antiochus was evil incarnate. He hated Jews and wanted to stamp out our religion. In reality Antiochus was content to leave the Jews of Judaea alone as long as they paid their taxes and there was peace in the streets. The root of the Chanukah story lies in an internal struggle among Jews themselves. At this time there were basically two types of Jews living in Judaea. There were those who were loyal to their religion and to our Covenant with God. But there was another group of mostly wealthy Jews who thought it would be to their advantage if they were more like the Greeks. They thought their Jewish customs and religious celebrations made it harder to have good relationships and make profitable business relationships with wealthy Greek businessmen. In order to accomplish their goal, these Jews stopped practicing their religion and mocked our sacred traditions. They wanted to see Judaea become a Greek city-state. If that happened Judaea could coin its own money, which would be a great advantage in business. So instead of studying Torah, observing the Sabbath, Holy Days and Festivals, and living Jewish lives, they hung out in the Greek gymnasia where they could make lots of good business contacts. To make a very long and involved story shorter the tension between these two groups of Jews grew to the point that they started fighting with each other. Only after violence erupted in the streets of Judaea (about 165 BCE) did Antiochus send in his troops. Only after Jews started fighting with other Jews did Antiochus outlaw all Jewish practice and polluted the Temple with idols of Greek gods, and offered sacrifice of pigs (a forbidden animal for Jews) to them. The Maccabees fought against the Assyrian–Greeks for three years and finally drove the foreign troops out of Judaea. And they won the right for Jews to practice our religion! It was the first time in history that people fought for the cause of religious liberty. The lesson is an important one for today: Our Judaism is in jeopardy when we neglect it. 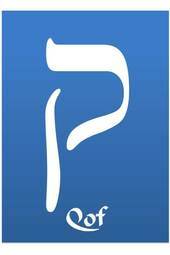 When we take our Judaism for granted, when we fail to study and practice it, we endanger its survival. That is the real lesson of Chanukah. What about that,”little cruse of oil that lasted for eight days?” Our people first began to tell that story a few hundred years after the actual events of Chanukah took place. It is a lovely legend, but even our youngest children should learn the real reason we celebrate Chanukah. An insightful and appropriate reminder. Well said! 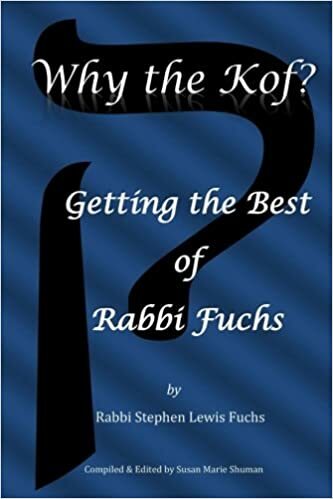 Thank you, Rabbi Fuchs …. Happy Hanukkah ( ❤ ).